Yes, it's true! 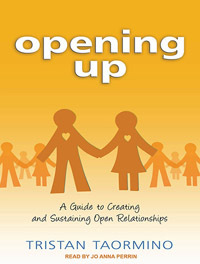 As of last fall, Opening Up is available as an audiobook. This is my first book ever to be converted into an audiobook, and it's unabridged -- a full 11 hours of non-monogamous goodness. The audiobook is narrated by Jo Anna Perrin and published by Tantor Audio. You can buy the audiobook online on many sites, such as Amazon, Audible, and Tantor (where it is currently 50% off!). Mp3 audio samples are available on all of those sites, so you can preview the narration before purchase.